Have you ever had a true craving or desire that just won’t go away? According to Dr. Steven Reiss, PhD., there are 16 different psychological itches or motives that only a certain behaviors can scratch to satisfy and they are hard-wired into our individual beings. A motive/value’s intensity is felt differently by each person. Our motivational individuality is what makes us who we are and explains why we do much of what we do. Understanding one’s motives/values can lead one to live a life that feels fulfilled and satisfying. I believe that one could combine the understanding of one’s natural strengths with an awareness of one’s 16 motives/values and use this information to better guide oneself to a life’s vocation. Living a life that satisfies one’s natural appetites by using one’s strengths is a great way to feel Fired Up! 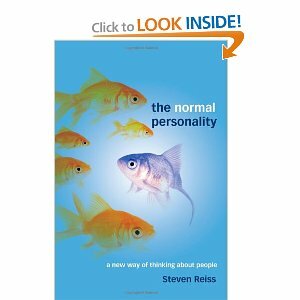 I highly recommend you consider reading Dr. Reiss’s books and get to know the drivers behind your natural behaviors, desires and satisfactions.